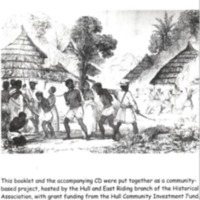 The Songs of Slavery CD and booklet were produced by a community-based project, led by the Hull and East Riding branch of the Historical Association. The project was part of the Wilberforce 2007 initiative in Hull. Songs of Slavery recorded 19 songs relating to slavery, alongside six short narratives. Most of the songs date from the mid-19th century and were originally composed and sung by enslaved peoples. Some were based on religious beliefs, others also contained coded messages to aid escape and resistance. The Songs of Slavery tracks were sung or narrated by local choirs, singers and musicians, together with students from local schools and colleges. 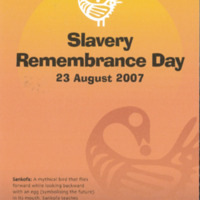 Slavery Remembrance Day, as designated by UNESCO, took place in Liverpool on 23 August 2007. The day was commemorated with a series of events, marked first by a multi-faith act of worship at Liverpool's Parish Church of St Nicholas. A traditional African libation ceremony, calling on ancestors to bless the event, took place on the city's waterfront at Otterspool Promenade. A programme of music and drama showcased Black culture and heritage around the themes of life in Africa, the Middle Passage and the legacies of transatlantic slavery. The International Slavery Museum at the Albert Dock had its official opening on the same day. The symbol of the day was the Sankofa, a mythical African bird that files forward while looking backward. 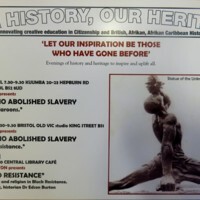 The ‘Last Bicentenary Pilgrimage’ trip to Liverpool was organised by the Institute of Black Culture Media and Sport, in partnership with the CarAf Centre, who provide educational, social and cultural activities for disadvantaged parents and young people. Members of the local Camden community were taken on a two-day family learning trip to Liverpool, to mark the end of the bicentenary with a goodbye ceremonial event and a visit to the International Slavery Museum. The event was supported by the London Borough of Camden Council. Several one-day events to mark the bicentenary and Black History Month were organised by the Griffon Area Partnership, a creative arts group in North Walsham. Totem poles were created and displayed at a community festival, which also featured crafts, mask-making, storytelling, dance and colour therapy healing. 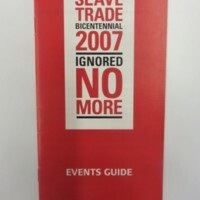 To commemorate the bicentenary, St Mungo Museum of Religious Art and Life (with support from the Scottish Museum Council) explored the social and economic legacies of slavery, including racism and cultural stereotyping. The museum worked with members of Glasgow's African and African Caribbean communities on reinterpreting objects from across Glasgow Museums. As part of the project, artist Beth Forde was commissioned to create an artwork to explore some of the issues raised, titled 'The shadow of the object fell upon the ego'. Voices from Africa was part of a year-long programme of lectures, schools events and exhibitions highlighting the life of African communities in Glasgow. 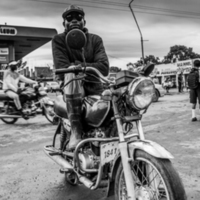 This included a photographic project with photographer Roddy Mackay to represent African heritage in Scotland, and a series of free workshops exploring aspects of faith and belief. It's All in a Name was an oral history project led by the Diversity Arts Incubation Programme in Luton. 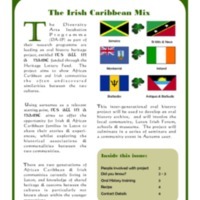 A collaboration between the local community, Luton Irish Forum and local schools and museums, the project aimed to discover the historical associations, shared customs and heritage between African Caribbean and Irish communities in Luton, using surnames as a starting point (popular surnames shared by both communities include Murray, Nugent or Patrick). The project developed an oral history archive, and culminated in a series of seminars and a community event. Part of the Equiano Project led by Birmingham Museum and Art Gallery, the Culture Clubs were a series of outreach projects enabling contributions by local schools and community groups to the way Equiano’s story is told and the issues surrounding how his experience is represented. The four groups - Techno Elders, Hockley Youth Project, Deansfield Secondary School and King George V Primary School - worked closely with the project teams and professional artists to produce work based upon Equiano’s life story. 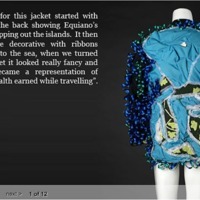 Their work featured within the Gas Hall and Soho House exhibitions. 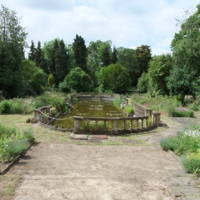 The Hockley Youth Project’s work was displayed in the ‘Unshackled’ exhibition at Soho House in Birmingham, once home of the industrialist Matthew Boulton. Working with visual artist Nicola Richardson, the group produced a series of suits and artworks which explore themes around Equiano’s life, particularly his success as a businessman and entrepreneur. 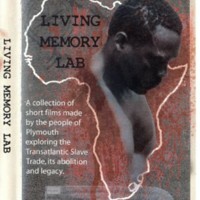 The Living Memory Lab was a two-year project in which people from local communities of Plymouth made three-minute films on the subjects of slavery and abolition and local connections to the slave trade. A series of short training courses in basic film-making were offered as part of the project. The project was a partnership between Plymouth and District Racial Equality Council, BBC South West, the community arts agency Creative Partnerships, in collaboration with Plymouth City Museum and Art Gallery. 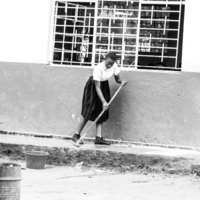 The DVD was made freely available for use as a teaching aid and community resource. On Sunday 25 March 2007, a ceremony was held on Cathedral Green in Exeter to mark the bicentenary. 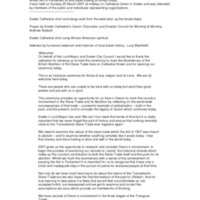 Organised by Exeter City Council, the ceremony was attended by members of the public and individuals representing local organisations. 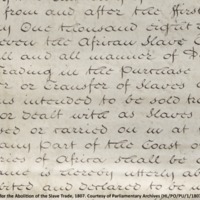 Historian Lucy MacKeith examined the links between Devon, the transatlantic slave trade and its abolition. 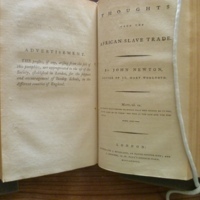 Extracts were read from the Narrative of Olaudah Equiano, and names read aloud of some of the Africans who came to Devon because of the county's connection to the slave trade. The play 'Albert and the Story of Equiano' was performed at the Royal Albert Memorial Museum in October 2007. It told the story of Olaudah Equiano, a leading African figure in the British abolition movement in the 18th century. The Freedom Roads exhibition at Guildhall Art Gallery was one of several initiatives led by London Metropolitan Archives to mark the bicentenary. 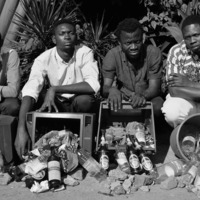 The exhibition featured contemporary photographic portraits of people of African origin whose work has contributed to the continuing struggle for human rights in different fields. Colin Prescod, Shirley Thompson, Eric and Jessica Huntley and Rudolph Walker were amongst the individuals featured. 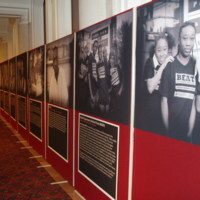 Others like the young people from BEAT (Black Experience Archive Trust) were engaged in a project to find out about significant people in their local community. Each person was photographed with an image of an object or place which has a special significance to them. The other part of the exhibition focused on relevant archival materials held by London Metropolitan Archives, including the South African Bill of Rights and a copy of the Constitution signed by Nelson Mandela, Cyril Ramaphosa, F. W. De Klerk and Roelf Meyer. Other material relating to slavery and abolition included a letter from John Julius, a plantation owner on the island of St. Kitts. 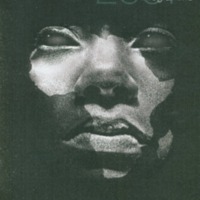 The Greater London Authority produced an Events Guide for Londoners in 2007 detailing some of the initiatives taking place in the capital involving the Mayor. This included Africa Day on Trafalgar Square, celebrating the positive contributions of London's African communities, and 'Rise: London United', an anti-racist music festival. The conference 'Faith Symposium: In God's Name?' at City Hall examined the role of the Church in the transatlantic slave trade. There was also a seminar on the legacies of the transatlantic slave trade from a Caribbean perspective and a Caribbean Publishers Book Fair held at London Metropolitan University. The Dr Eric E. Williams Memorial Lecture Series at City Hall was made available as a webcast. The Leyton and Leytonstone Historical Society led a number of commemorative events to mark the bicentenary. 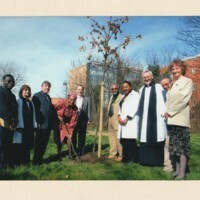 In March 2007 an oak tree was planted in the churchyard of St John’s Church Leytonstone. At the ceremony there were a number of speeches, after which community nurse and local campaigner Mrs Zena Edmund-Charles was invited to plant the commemorative tree. There was also an art exhibition at St John's featuring artefacts and mementos of the period. A commemorative ‘Freedom Walk’ was led by local historian Peter Ashan, following a route around Leyton, Leytonstone and Walthamstow. The exhibition was shown again during Black History Month, alongside a video story of Olaudah Equiano.